"Relations between Moscow and Budapest are no secret to anyone and Hungary is not a role model. 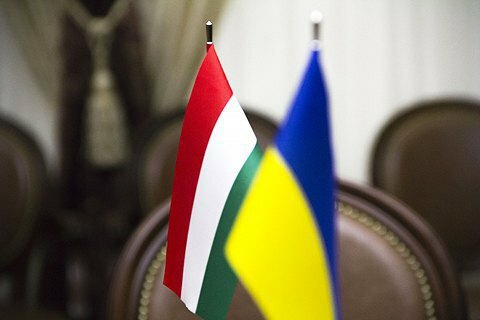 The failure of the Monday meeting between Ukrainian Foreign minister Pavlo Klimkin and his Hungarian counterpart Peter Siarto in Transcarpathia has not brought out the best in Hungarian politicians and Ukraine should resist such provocations, journalist Vitaliy Portnikov wrote in his LB.ua article titled It's Not About Hungary. "We should not yield to provocations and take confrontational tone in the dialogue with our neighbours. On the contrary, it requires an ongoing dialogue, and when Budapest refuses from dialogue, as was the case with the failure of the meeting of the Ukrainian and Hungarian deputies, or when Peter Siarto refused to meet with Pavlo Klimkin in Uzhgorod speaks in our favor rather in favor of the neighbors," Plotnikov says. He believes that one should not assume that "any criticism heard from the West is the criticism by the West." "This can in fact be criticism from the East. In is quite easy to see in the case with Hungary. Relations between Moscow and Budapest are not a big secret, and Hungary indeed is not a role model in the EU," the article says. It is much worse when criticism comes from a "model European country" distant from Moscow, as was the case with the so-called consultative referendum in the Netherlands. This plebiscite for a long time has slowed down the process of ratifying the association agreement between Ukraine and the EU and forced Brussels to accept the ridiculous restrictions that allowed the Dutch parliament to ratify the agreement bypassing the "will of the people." "That was a really brilliant special operation that required the adoption of novelties into the Netherlands legislation, the massive use of Russian media and propaganda resources, playing on the fears of EU enlargement, misinformation, and Dutch 'useful idiots.' It was neither the first nor the last of the Kremlin's special operations in Europe," warned Portnikov. The writer is convinced that Ukraine must retain self-possession and change its attitude to criticism from abroad. "We have grown up to believe that any claim that comes from Moscow is a shout of the enraged master that needs an immediate rectification of the situation according to his will. Meanwhile, any claim from the West – in whatever form it is expressed – it's not a shout. It's just an invitation to dialogue," argued Portnikov.